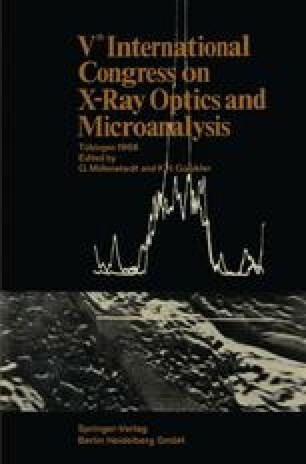 Corrections for quantitative analysis in electron probe microanalyser (EPMA) has been developed since Castaing’s pioneer work in 1951  and many investigators attacked the problem. However, even nowadays existence of considerable amounts of errors between the values of chemical analysis and those of EPMA is repoted, sometimes. Usually, the error has been estimated as less than ± 1%, however some one claims ± 0.5% and others say it is difficult to keep it less than ± 5% always.